As like a lot of homes, we had cats, turtles, fish, hamsters and several breeds of dogs. But none were like my mother's 2 beautiful German Shepherd 'girls' that kept her secure and gave her unconditioned love. When all of us left home, Duchess and Rebel were her Angel's. When they were sick, they tried not to show it. As with some German Shepherd's, Duchess had the 'hip' problems and would push herself to go on those daily walks, just for Mom. One morning she just laid down in the street and couldn't go any longer. Mom lifted her and took Duchess to the Vet for her long sleep. Soon after this, we pushed mom to find another Angel and Rebel arrived. Rebel brought unconditional love companionship and security to Mom. Rebel's last car ride was memorable and we both knew when she couldn't get out of the car for a walk, it was time for her to sleep. Mom and her girl's are gone now. But I remember their lives and how those beautiful Shepherd dogs made life for Mom worth living. Now I'm looking for the time to bring home a Angel, which no doubt will be a German Shepherd Angel. This is my first website in an attempt to find my Angel. Thank you for allowing me to share this thought with you. Jean, first of all let me tell you how sorry I am for your loss. It is so very hard to lose a wonderful German Shepherd any time but your memories will help you through it all and your memories will stick with you forever and help through the long grieving process. Thank you so much for sharing your story about your German Shepherd Dogs, Duchess and Rebel. I remember Dutchess and Rebel as they were such special friends for Mom and the family. Mom loved them dearly and gave her such happiness and companionship. We always had our special family members growing up and that tradition with me today. I am sorry for the loss of your beloved Mother. I can assure you your Mother is with her two Angels blissfully together and happy. I wish you luck in your search for your Angel. 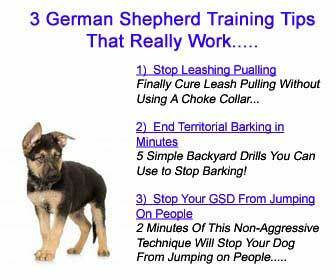 The GSD is really a remarkable and exceptional dog. Join in and write your own page! It's easy to do. How? Simply click here to return to GSD Rainbow Bridge.